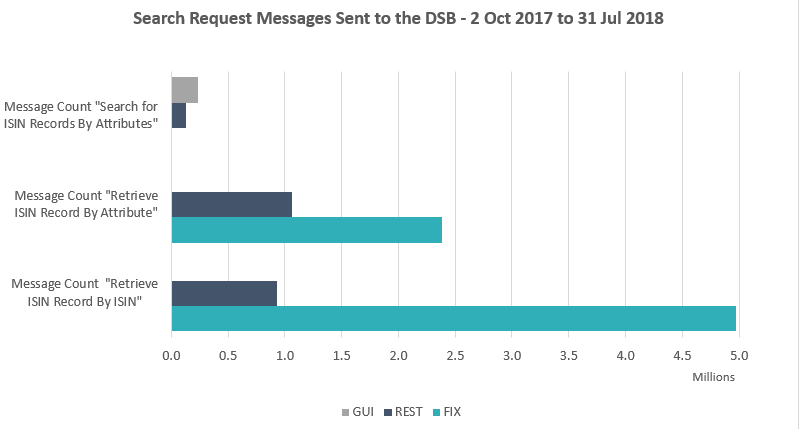 There were no major surprises with respect to use of the DSB in the month of July, which suggests that use of the DSB may be reaching steady state. 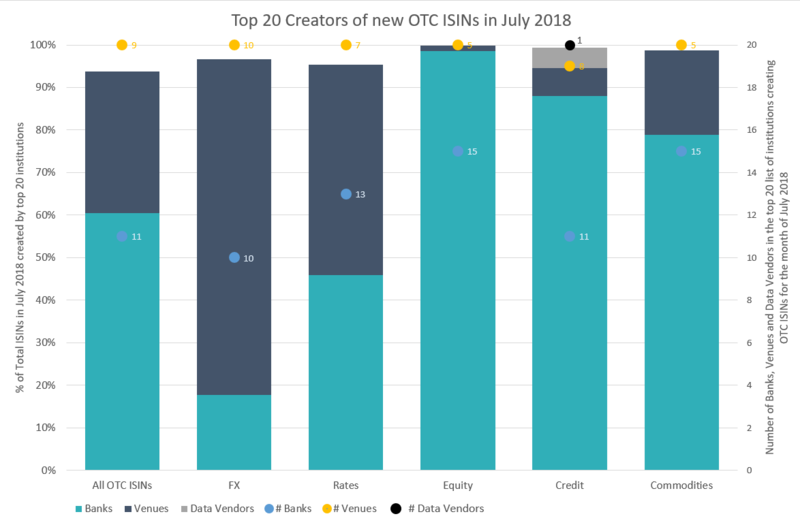 Some users searched for more ISIN specific data (see search trends below) and ISIN creation behaviour remained largely unchanged, with new ISIN creation rates continuing to decline. July also saw the conclusion of the second of two consultations run by the DSB seeking information about industry’s feedback on several operational, technical and user agreement related matters. The final consultation report is due to be published shortly and will be made available on the DSB website for review. 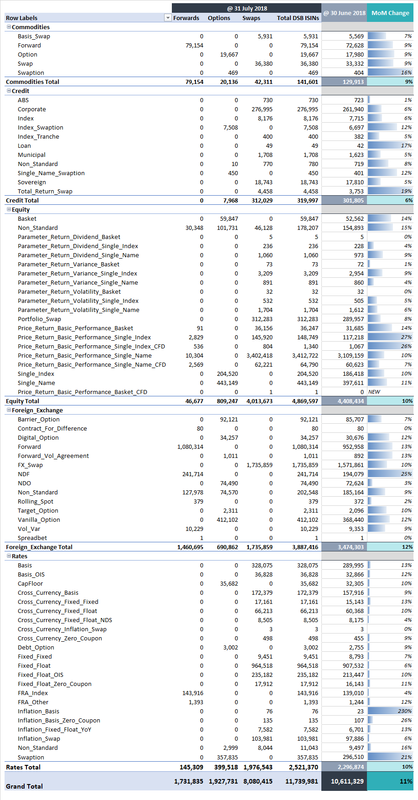 Additional information is set out below at asset class, product and user type levels. Any questions, please let us know. 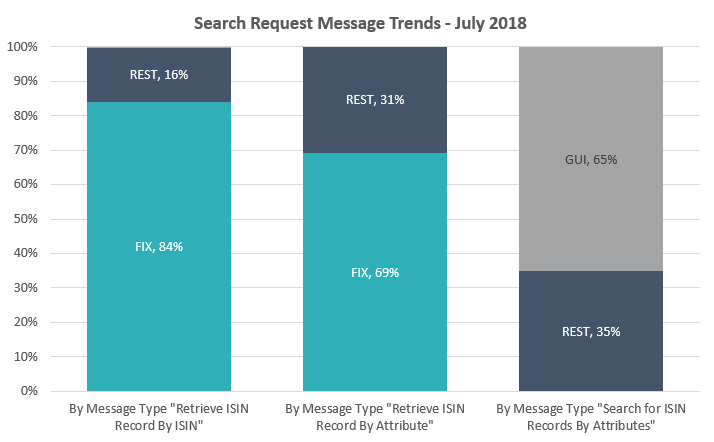 Use of the DSB’s search capabilities persists, with the web-interface (GUI) users driving most searches by attribute, however July saw a slight increase in the number of requests (mostly FIX) seeking information the full OTC ISIN record for a given ISIN. Snapshots of the search messages types received are shown by connection type – on both an absolute and relative basis.